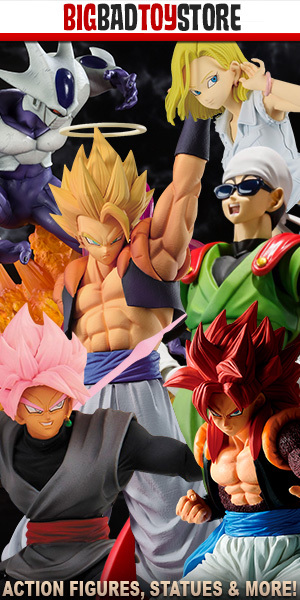 Tamashii Nations took to social media today to reveal a new system for the sale of their exclusives at New York Comic Con 2018. What has been revealed is a radical departure from what we’ve seen historically and at other conventions. Convention goers will have to visit booth 1612 each morning of the convention to attempt to receive a ticket. Each ticket entitles the holder to purchase one Tamashii Nations exclusive at a later pre-determined scheduled pick up time. What has remains unclear, is whether or not only one Tamashii Nations exclusive will be available, per day. Meaning in order to acquire the exclusive you want, you’d have to be able to attend the convention the corresponding day for that figure. How do you feel about the changes? Will you be attending the convention? We’d love to hear from you in the comments. Bandai Namco Acquires Bluefin, Establishes Toy Company in U.S.
Is this confirmed? It says in the post qty of each exclusive available everyday. Did u just assume because of the artwork? I’ve updated the article for clarity. At the time of writing it seemed very plausible that this was the case. But now it doesn’t seem so clear. I apologize. Thanks, I have tickets for tomorrow and really hope my exclusive for purchase isn’t just the stupid aurora. I only bought a ticket to nycc for these. Please let us know how it goes. I hope it isn’t how I had originally worded it. If it is, let me know and I’ll correct the article to its former version.